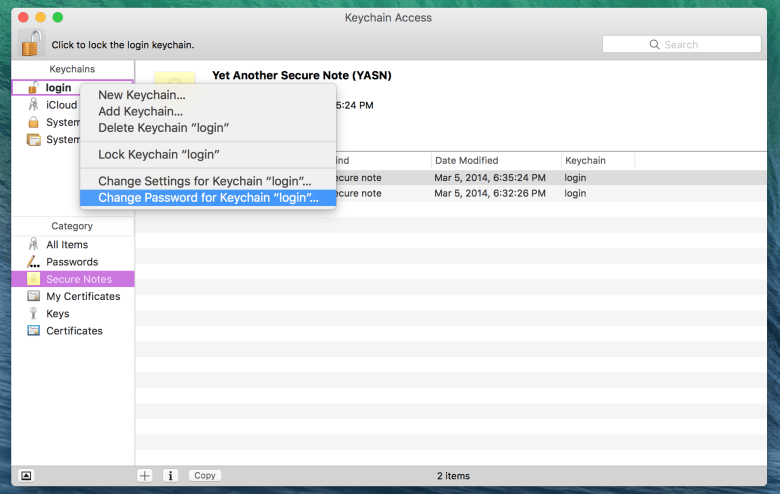 Get rid of the annoying Keychain messages about talagent with this easy fix. Are you getting something like following message on your Mac every time you log in? talagent wants to use the "local items" keychain. please log in with password. If so, you’re in luck, because we have a fix. Here’s how to get this utterly annoying pop-up out of your face. Talagent is a background service that runs for every user account to let your Mac terminate apps if the system memory resources get low. Essentially, it’s something that helps your Mac feel more responsive when you’re using it, and it uses the KeyChain to authenticate. To fix the talagent issue, though, you can first make sure your keychain file is not corrupted. Launch Keychain Access (typically in your Utilities folder) and select Keychain First Aid from the Keychain Access menu. You’ll get a little window that lets you Verify or Repair your keychain file, sort of like the Disk Utility function. Choose Verify and click the Start button. If there are any issues, do it again but this time choose Repair. You’ll need to enter your admin password to repair it. Restart your Mac. If that doesn’t fix the talagent issue, open Keychain Access again and unlock it by clicking on the little padlock icon in the upper left. Yours may not be locked; if so, don’t worry about it. Next, right-click (control-click, two-finger click) on the login item in the left-hand pane of the Keychain window. Choose Change Password for Keychain “login” from the contextual menu there. Type in your current password and then, as the new password, enter the the one you use to login to your Mac. This should set everything back to working again, and hopefully talagent will quit bugging you.